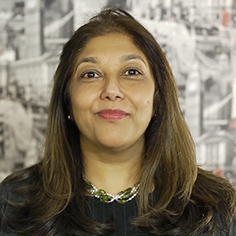 Jayshree Davé, Founder and Director of Pipaltree brings together a smorgasbord of experience to life in her business. Technical business experience, together with strong interpersonal skills and her continuous exploration into the how thinking creates emotions that result in behaviour are at the root of everything that inspires her to help her clients make lasting change. She is a creative, high energy and performance driven professional trainer and executive coach. She brings valuable experience from her role within Investment Banking Treasury, and Capital Markets business. She is passionate about people development and is on a journey of exploration and learning about being human. This continuous learning together with her extensive experience and track record informs her business. She coaches individuals, leaders, teams on how to be at their best and bring positive change to their lives, careers, teams and organisation, using a range of tools from technical knowledge to mindful meditation.